My desk was a wreck this week as I finished up my second Novamarine test model. As soon as I got him done along with my "review" of the new GW paints (if you can call it that), I cleaned it all off so I could work on a conversion I have. 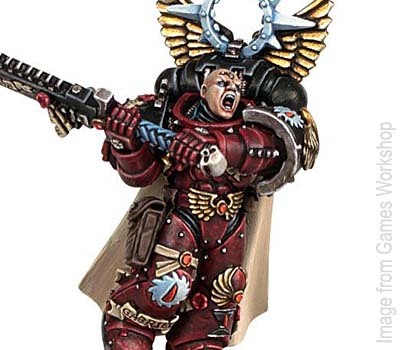 I'v4 had someone ask me if could build another Chaplain like this one here, but put him in the pose of Gabriel Seth. A very cool model I might add (Seth that is). I've got a good bit of work ahead of me to include sculpting some capes from greenstuff. A task I have only partially tried at this point. We'll see how it goes with the full cape this time. Can't wait to see the result of your 'Seth posed' model! Not that I have done it since I picked my brushes up again but in ancient history I used to make new clothing for mini's with tissue paper and watered down white glue. Just water down the glue quite a bit and paint it on to your tissue. Never tried a cloak with this method but it might be worth trying. Would definitely be interesting to see how you mimic the Seth pose. Taanekh: I'm working on him today. I have to get all the smaller bits together before I can start building him. Thing like the rescuplpted knee pads and such. Gary: Thanks for the tip. I think my first attempt will be with greenstuff. If for no other reason than the durability. I've done smaller cloaks... I just haven't done anything large yet. 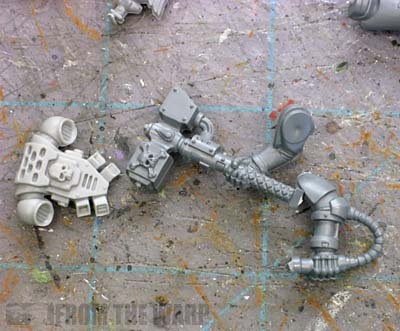 Kevin: A judicious use of bits starting with Assault Marine legs. 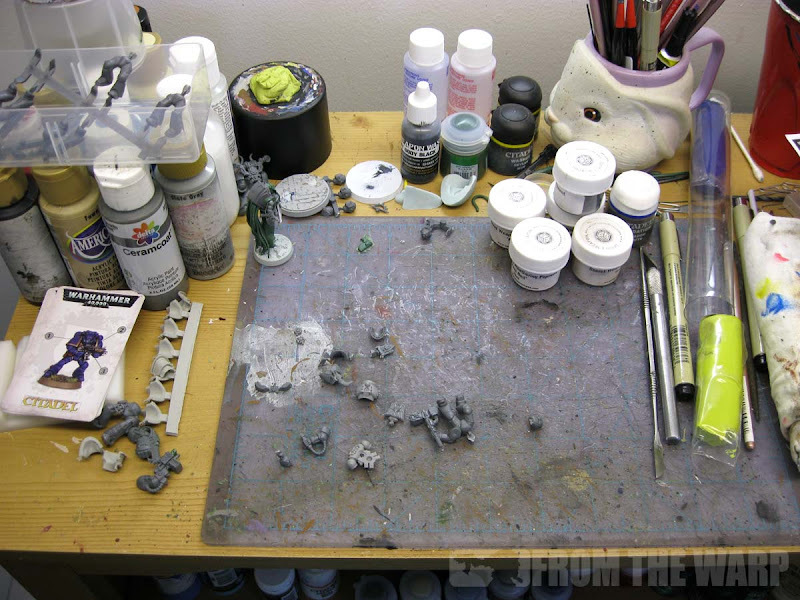 I think the right bits along with the extensive greenstuff work will get him super close to the Seth pose. Enough that folks recognize it immediately.